Network Solutions—How Do I View the Open Source Library? 2. Click on My Products & Services tab. 3. Click on the My Hosting Packages link. 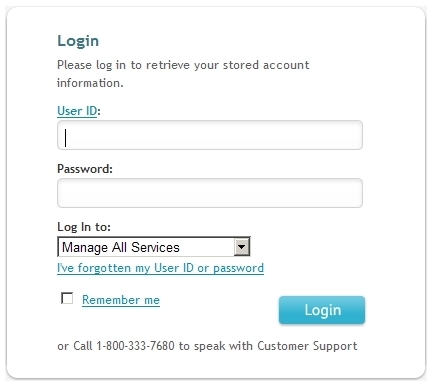 Note – If you have more than 1 hosting package, you will need to select the package you’d like to manage by clicking the MANAGE button on the right side of the page. 4. 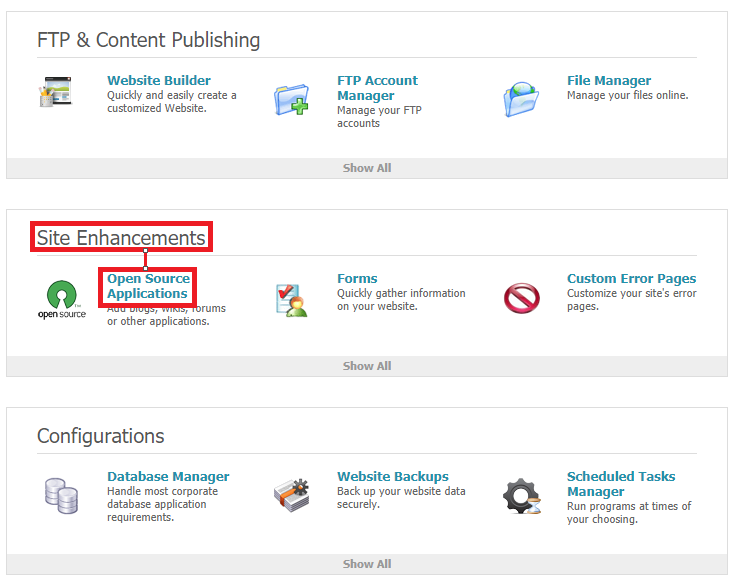 Scroll down to the Site Enhancements section. Click the Open Source Applications icon. 5. 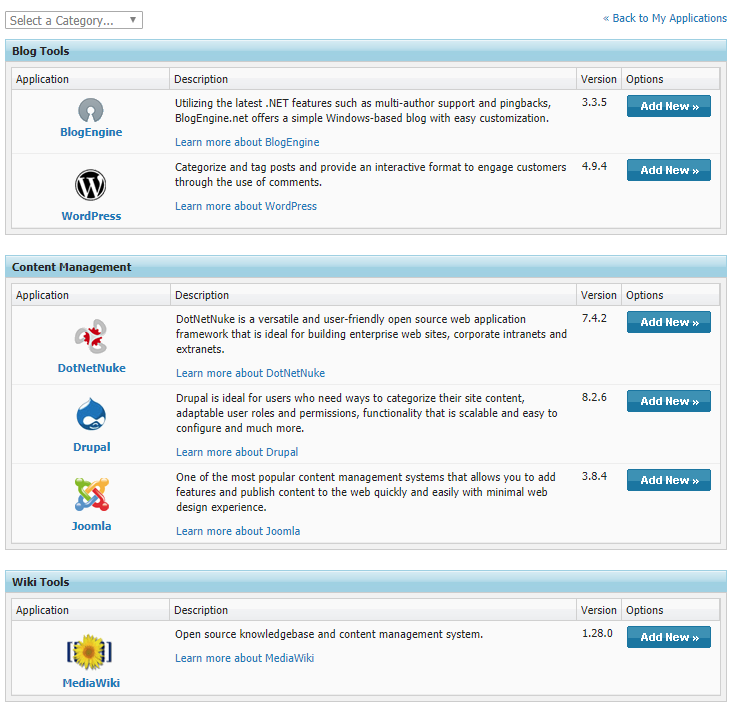 You are provided with a list of open source applications that are available for a one-click installation. Note – If you already have an application installed, you will need to click the View Open Source Applications button to get to the open source applications page. 6. Click the Add New button next to the application you would like to add, then follow the installation instructions. If you need answers to a question our experts are available to answer your questions at 1-866-391-4357.Once again, thank you for choosing Network Solutions®. We are committed to providing you with the solutions, services, and support to help you succeed. Note – If you already have an application installed, you will need to click the Installed Applications tab to get to the open source applications page. 4. Click the Install button next to the application you would like to add, then follow the installation instructions.